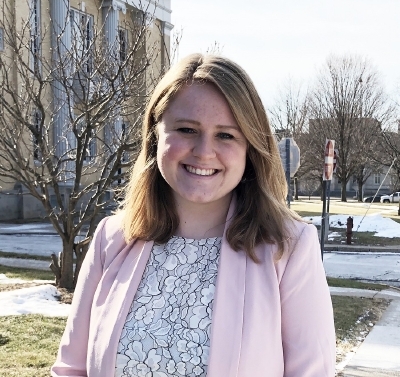 CANANDAIGUA --- Kendall Knaak of Honeoye Falls has joined Finger Lakes Visitors Connection (FLVC) as Visitor Experience Curator and Marketing Associate. Knaak will oversee the hospitality services and programs of FLVC, the official Ontario County tourism bureau. She will be responsible for ensuring that the customer experience is curated from inspiration to post trip, as well as assist in hosting and guiding visitors throughout the county and the region. Knaak will also help develop marketing content and assist in public relations efforts. “I was born and raised in Upstate New York, so I am excited to bring my passion and love for the area to my job," said Knaak. “I'm happy to join the team at Finger Lakes Visitors Connection, and I can't wait to share how wonderful Ontario County is." Knaak graduated in May from the S.I. Newhouse School of Public Communications at Syracuse University with a bachelor's degree in public relations. During her time at Syracuse, she completed public relations internships at Dixon Schwabl in Victor and McDougall Communications in Brighton. She was most recently assistant store manager at American Eagle Outfitters at Eastview Mall in Victor. “We are thrilled to have Kendall join our staff," said Finger Lakes Visitors Connection President Valerie Knoblauch. “She has a passion for public relations and marketing, and will help elevate the visitor experience for Ontario County. I know she will ensure that each visitor she connects with will have an experience that is of the highest quality."